An adaptation of American Idol or perhaps America’s Got Talent, American Icon slots brings the television show atmosphere to your computer screen or the screen of any other mobile portable device really. 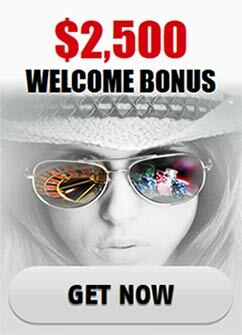 5 reels and 20 paylines are more than enough for any player to joyfully experience the spectacular rewards, symbols and bonus games which this dazzling slot game has to offer. The rules of the show are simple and common enough. The coin value can be as small as 1 cent and as big as 10 dollars, which adds up to a total bet of 200 dollars at its largest form. The game’s symbols pay from left to right with the exception of the scatter. The performers of the show are all very profitable and witnessing their gifts on the reels is more than worth it. Some of them are an I-pod symbol that is playing music, a Red Haired Performer, a Music Magazine, a Blue Crowd surrounded by Stars, a Big Speakers symbol, a Music Charts Symbol, an American Icon Book symbol, the Music Notes Bars symbol and a Judge Panel Symbol. The wild is the Gold Record, while the scatter symbol is the Recording Contract. Another symbol with an admirable effect is the American Icon Bonus symbol, responsible for initiating the slot’s bonus level. The Gold Record wild has the capability to replace almost all of the other symbols in the game. The irreplaceable symbols are the bonus one and the scatter one. The Recording Contract scatter will pay the player provided at least two of it appear on the reels. If three show up, the Free Spins bonus round will begin. The American Icon Bonus symbol can land on the second, third and fourth reel and when three of it appear, the American Icon Bonus game will be started. The two special bonus games that the show will surprises its players with are the free spins and the exclusive bonus game, created specifically for the slot’s theme. When the 3 scatter symbol requirement gets fulfilled, 15 free spins will be granted. Every earning that is acquired during the free spins will be multiplied by 2 and of course if later on you get 3 more scatter symbols, the free spins will be restarted. The main bonus round involves 26 singers and the player will need to select one of them. That one singer you have chosen will be set aside for a while and then you will proceed to select 6 more, which you believe to be worse than your initial choice. If you are correct in your guess, you will be given a reward and you will have the option to continue on with this highly profitable casting until there are two contestants left. The game might spark in you a newfound interest towards those real-life contests after American Icon Slots and you might find yourself in front of the TV, watching these shows as you are reminded for the big wins you scored throughout this awesome slot. Or you might as well just keep playing it if you are not really a TV person.